Nothing is more integral to democracy than voting. Most people believe that every citizen has the civic duty or moral obligation to vote, that any sincere vote is morally acceptable, and that buying, selling, or trading votes is inherently wrong. 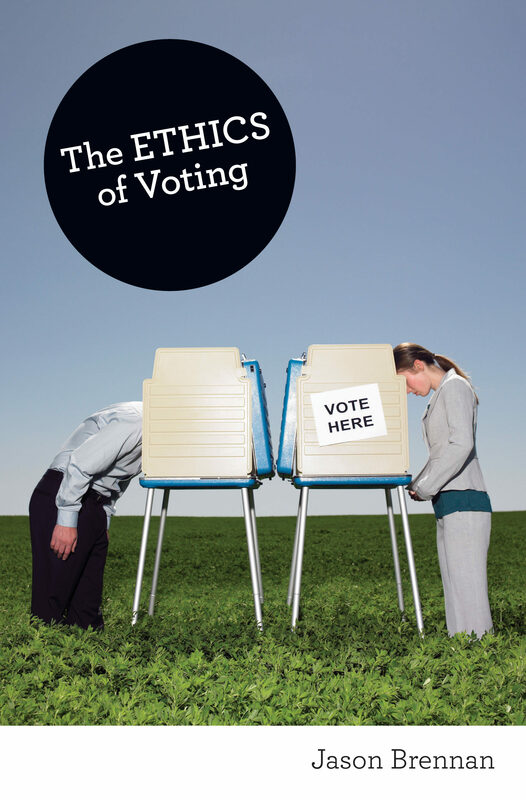 In this provocative book, Jason Brennan challenges our fundamental assumptions about voting, revealing why it is not a duty for most citizens--in fact, he argues, many people owe it to the rest of us not to vote. Bad choices at the polls can result in unjust laws, needless wars, and calamitous economic policies. Brennan shows why voters have duties to make informed decisions in the voting booth, to base their decisions on sound evidence for what will create the best possible policies, and to promote the common good rather than their own self-interest. They must vote well--or not vote at all. Brennan explains why voting is not necessarily the best way for citizens to exercise their civic duty, and why some citizens need to stay away from the polls to protect the democratic process from their uninformed, irrational, or immoral votes. In a democracy, every citizen has the right to vote. This book reveals why sometimes it's best if they don't. In a new afterword, "How to Vote Well," Brennan provides a practical guidebook for making well-informed, well-reasoned choices at the polls. Otros ebooks de JASON BRENNAN.